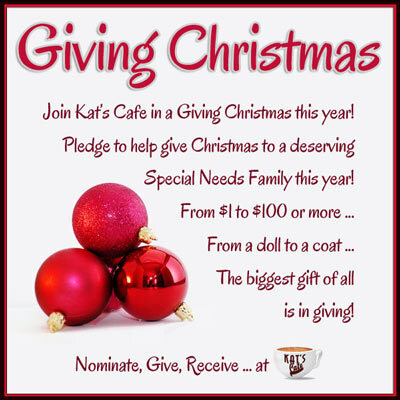 We delayed the start of our impromptu Giving Christmas campaign as well as the amazing Gift Guide for Special Needs Families here at Kat’s Cafe out of respect for the tragedy of late last week. While everything we do is and will be tempered with respect, grief and love for families dealing with this tragedy, we want to take the opportunity to spread a bit of joy and fun for a few days as we celebrate family, unique gift ideas, giveaways, and a very special chance to give back. Because we’re starting this campaign late, we still want to reach as MANY people as possible, spread the word about some great ideas for last minute gifts (and gifts for next year!) for your favorite special needs family AND put together Christmas for a very deserving family with our Gift of Christmas – we desperately need YOUR help to spread the word! Beginning tomorrow morning (That’s Thursday, Dec. 20th) and continuing through this weekend until Christmas Eve morning, we’ll be posting in a flash here at the Cafe. We’ll be sharing our amazing Gift Guide (In Html AND PDF format) which will be great for sharing ideas throughout next year as well! 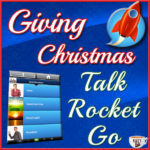 We’re also going to be sharing reviews, giveaways, and updates on the Giving Christmas campaign. With so many updates coming, and so many opportunities to win gifts perfect for your special needs family (or someone close to you!) the posting will be fast and furious. And we’ll also be accepting further nominations for our Giving Christmas campaign, as well as YOUR donations or toys, money and/or other products to help ANY of the nominees with Christmas this year – they understand many gifts will arrive in time for a belated celebration. But to make all this happen, we’ll need your help! If you are a blogger, feel free to repost ANY of the associated posts (just drop me a line to let me know!) – and be entered into a special *helper’s giveaway* where you can win a goody for your blog (new header or blog button? A set of social media icons? Your choice!). Share to Facebook, copy and paste the post URL and comment here with the link = 1 entry! Tweet about it, copy and paste the URL from your tweet and comment = 1 entry! Share to Google+, copy and paste the post URL and comment here with the link = 1 entry! Pin to Pinterest, copy and paste the post URL and comment here with the link = 1 entry! Share to ANY OTHER social media site, copy and paste the post URL and comment here with the link = 1 entry! Repeat over the next 48 hours and repeat the above! 5 ENTRIES – leave me the link to your favorite post from the Cafe and leave me a comment on THAT post too! 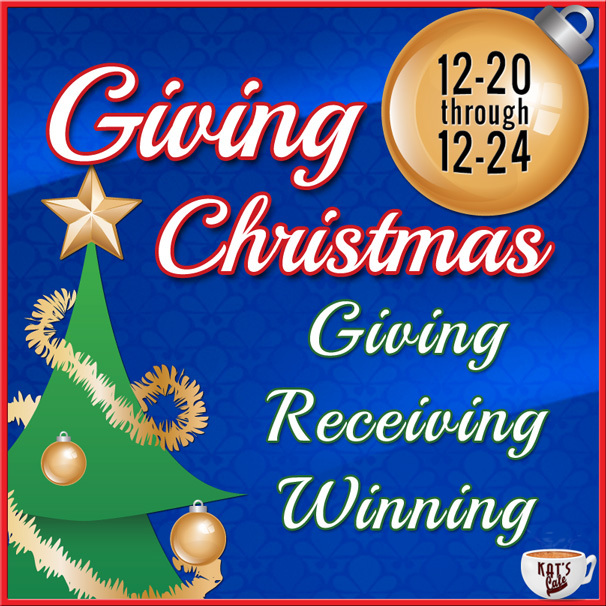 Donate at least $1 to the Giving Christmas campaign to give a special needs family Christmas spending money for 10 ENTRIES!!!! My hope is there will be a TON of folks sharing the campaign – and if we get at least 100 comments I’ll throw in another prize! So What Will you Win? I know it’s not much, but it’s a bribe all the same! Make a note to be back to visit, share with everyone who will listen, and if you can spare EVEN a $1, consider donating – all raised funds (minus Paypal fees only) will go directly to the Giving Christmas Gift of Christmas Recipient. Thank you for being an amazing family here at Kat’s Cafe, thanks for sticking with me despite the crazy kind of campaign we have going here, and thank you for being YOU!